Unified TKD is a global community that welcomes practitioners of all ages, ranks and abilities to learn the true art of Taekwon-Do as set out by the founder, General Choi Hong Hi. 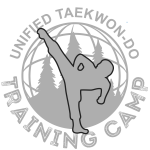 Unified both hosts and sanctions various events, seminars, workshops, and courses on, but not limited to Taekwon-Do fundamentals, tuls, history, techniques, moral culture and sparring. Unified TKD is an inclusive organization which operates under an open structure to facilitate growth and innovation, and put member needs first. Unified Taekwon-Do is a global community dedicated to preserving the legacy of General Choi Hong Hi and the true art of Taekwon-Do. To preserve the legacy of General Choi and teach the true art of Taekwon-Do. The dedicated individuals who ensure the strength, unity, and caliber of Unified TKD. With members in over 35 countries, we are an international community.